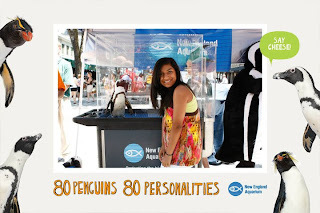 Penguin Pursuit - Meet a penguin on the streets of Boston! 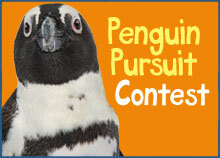 Get ready, the great Penguin Pursuit is back on! 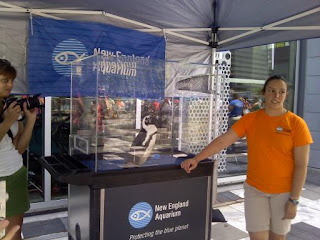 This Thursday at 12:30 is your second chance to find a penguin on the streets of Boston. Where, you might ask? Well, check out these clever clues that points you in the direction of a very special Boston hot spot. This family-favorite Boston location has been going green since the ‘70s! Their Recycle Shop has been selling a variety of reusable items to visitors since 1972, and their rooftop is literally alive with almost 6,000 square feet of living green roof; the plants help to insulate the building. First opened in 1913 by a group of science teachers from Jamaica Plain, this place was designed to educate people about the world they live in by using a new hands-on approach. This fun and exciting family venue has been open to the public for more then 90 years. Its mission is to help children learn about and understand the world in which we live. Designed for children and their families, this fun Museum, located in Boston, offers exhibits that focus on science, culture, environmental awareness, health and fitness, and the arts. Outside of this unique Museum in Boston, a giant milk bottle is on display that could hold 58,620 gallons of milk. There’s also a 20-foot Arthur character sitting atop the main entrance. Still don't know? Here's some photos from the event posted by Twitter user @msparksays! 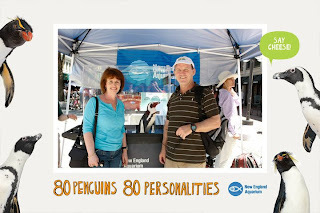 If you found the penguin, post your photos online and let us know where they are on facebook and twitter. 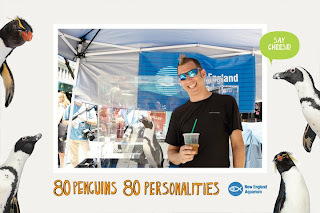 You'll definitely want to find the penguin, because when you do you'll have a chance at your very own photo opp with him and you'll have an opportunity to win Aquarium passes and more! 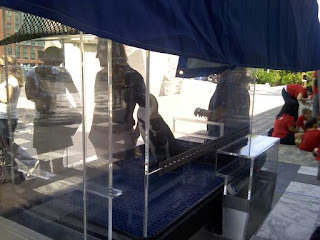 Check out these photos that were taken last time visitors found our penguin in his fully enclosed air-conditioned cart. See all of the photos on the Aquarium's facebook page here and here. So are you ready? Do you have your thinking cap on? If you think you know where the penguin will be, get yourself to that location on Thursday between 12:30 and 1:30 pm. This is your second chance to find the penguin in Boston, but it isn't your last. 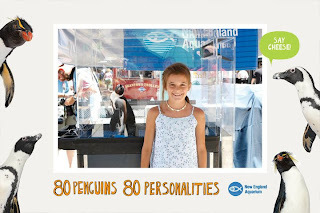 There will be many more chances to keep up with the Penguin Pursuit as we celebrate this summer's exciting theme program—Penguin Power. So stay tuned, more clues are still to come!